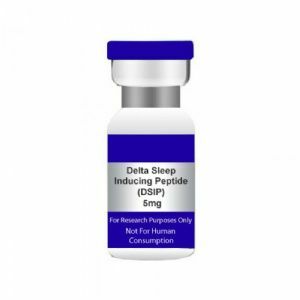 DSIP Delta Sleep Inducing Peptide 5mg. USA MADE PEPTIDE HIGHEST QUALITY AVAILABLE. 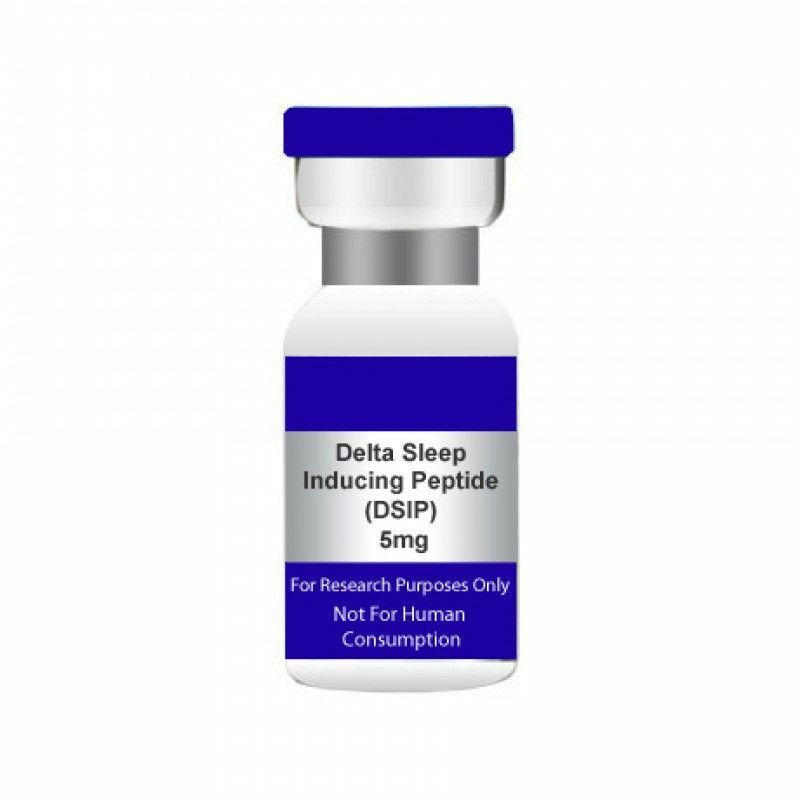 Delta sleep-inducing peptide, abbreviated DSIP, is a neuropeptide that when infused into the mesodiencephalic ventricle of recipient rabbits induces spindle and delta EEG activity and reduced motor activities.Its aminoacid sequence is Тrр-Аlа-Gly-Gly-Asp-Ala-Ser-Gly-Glu. However, it is the only neuropeptide in history whose gene is unknown, raising serious questions regarding the actual existence of this peptide in nature. Delta sleep-inducing peptide was first discovered in 1974 by the Swiss Schoenenberger-Monnier group who isolated it from the cerebral venous blood of rabbits in an induced state of sleep. It was primarily believed to be involved in sleep regulation due to its apparent ability to induce slow-wave sleep in rabbits, but studies on the subject have been contradictory.Delta-sleep-inducing peptide (DSIP)-like material has been found in human breast milk. DSIP is an amphiphilic peptide of molecular weight 850 daltons with the amino acid motif:N-Trp-Ala-Gly-Gly-Asp-Ala-Ser-Gly-Glu-C It has been found in both free and bound forms in the hypothalamus, limbic system and pituitary as well as various peripheral organs, tissues and body fluids. In the pituitary it co-localises with many peptide and non-peptide mediators such as corticotropin-like intermediate peptide (CLIP), adrenocorticotrophic hormone (ACTH), melanocyte-stimulating hormone (MSH), thyroid-stimulating hormone (TSH) and melanin concentrating hormone (MCH). It is abundant in the gut secretory cells and in the pancreas where it co-localises with glucagon. In the brain its action may be mediated by NMDA receptors. In another study Delta sleep-inducing peptide stimulated Acetyltransferase activity through α1 receptors in rats. It is unknown where DSIP is synthesized.